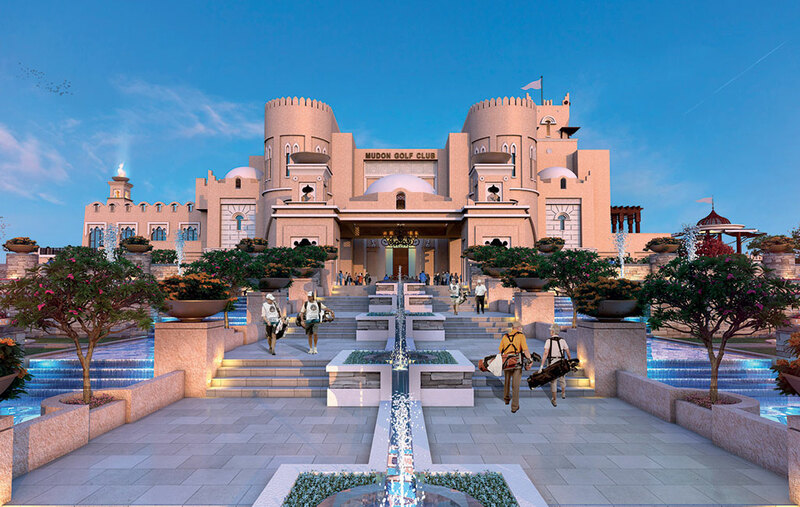 Mudon, meaning ‘cities’ in Arabic, is a new residential community for 50,000 residents that was master planned on a 678-hectare site in Dubailand. It is the flagship development of Dubai Properties and comprises replicas of five Middle Eastern cities, namely, Baghdad, Beirut, Damascus, Marrakech and Cairo, all within one large city. The residential component is supported by retail and commercial offices, hotels, restaurants and a golf course. 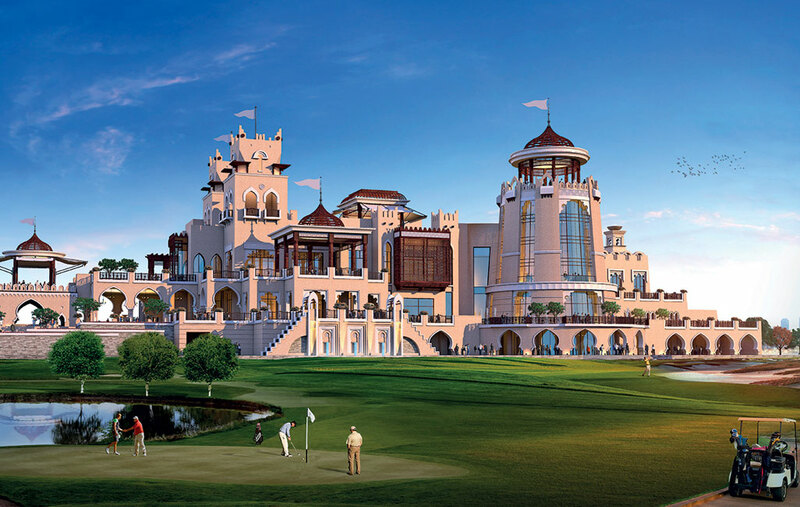 Having already designed the internationally recognized clubhouses of the Abu Dhabi and Doha Golf Clubs, Dubai Properties selected Diar Consult in September 2006 to design the clubhouse for Mudon Golf Club. The clubhouse was also designed to appeal to non-golfers. 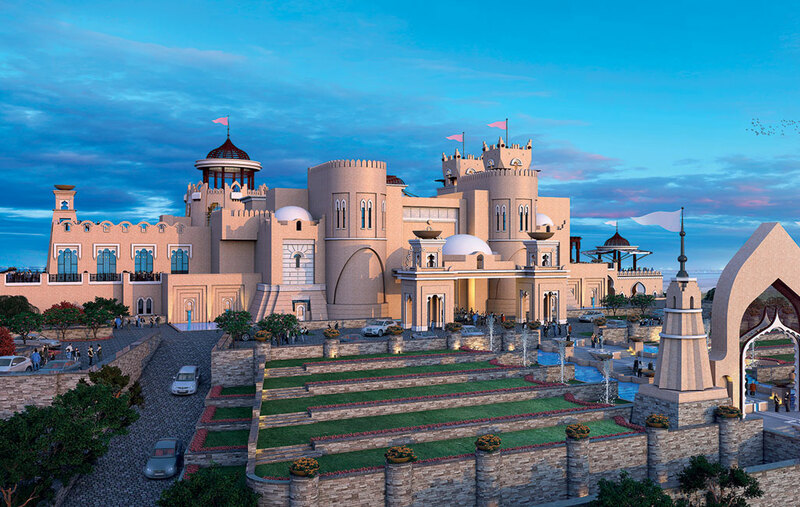 The country club is designed as an Arabian castle elevated on a hill. In addition to the usual amenities, the clubhouse also has a private function room and terraces, a rooftop swimming pool and sunbathing terraces, and a fine dining restaurant.